Every year I decorate for our church’s Christmas Widow’s luncheon, which the decorations are then used for a dinner our church hosts for a low income apartment complex, the teacher’s holiday luncheon at my daughter’s school, and our Breakfast with Santa event at our church. Needless to say, we get our money’s worth out of these decorations. 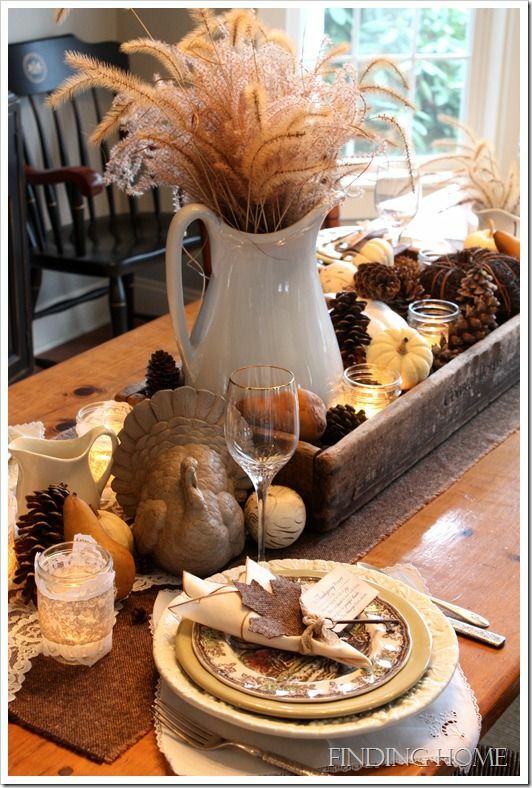 When researching (browsing Pinterest) what I was going to make this year, I fell in love with a picture I saw of a vintage crate decorated for Thanksgiving. I have seen other crates decorated for the holidays on Pinterest, but this particular one caught my eye. I loved the low profile of this box and the natural patina. I would have loved to purchase actual vintage crates, but I needed five, so that would have been costly, and timely to find five similar crate. Instead, I decided to make my own. Now, I have to preface this by saying, this is easy! I have been playing around with tools, so I have some experience, but I’m still a beginner. I’ve learned from my experience that you just have to be willing to jump in and get your hands dirty (safely, of course). I love creating pretty things, it is definitely my passion, so if you’re like me you won’t need much coaxing to start a project. 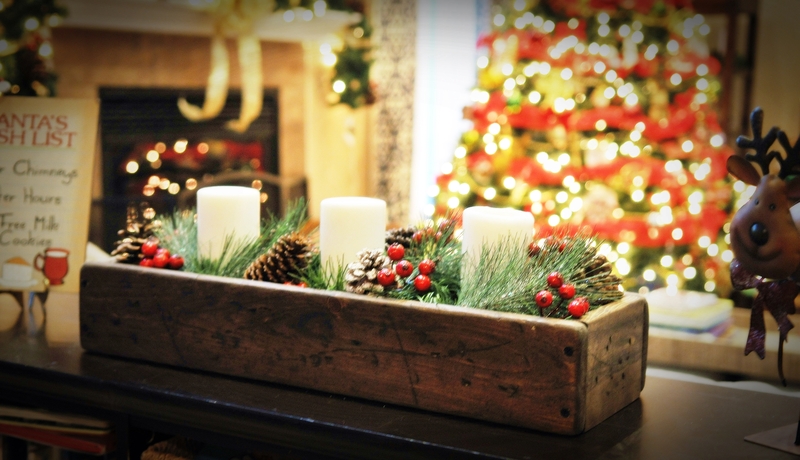 The boxes are made out of 1″ pine boards and the dimensions of the boxes are 24″ long x 4″ high x 7.5″ deep. The cost of this project for me was only $5.00 because we had some scrap lumber laying around. I only had to purchase one 6′ board. Because I was using scrap, I had to rip these boards down to 4″. I knew that I wanted it to be rough and rustic looking (a.k.a didn’t have to be perfect), so I just used a circular saw with a line drawn at 4″. 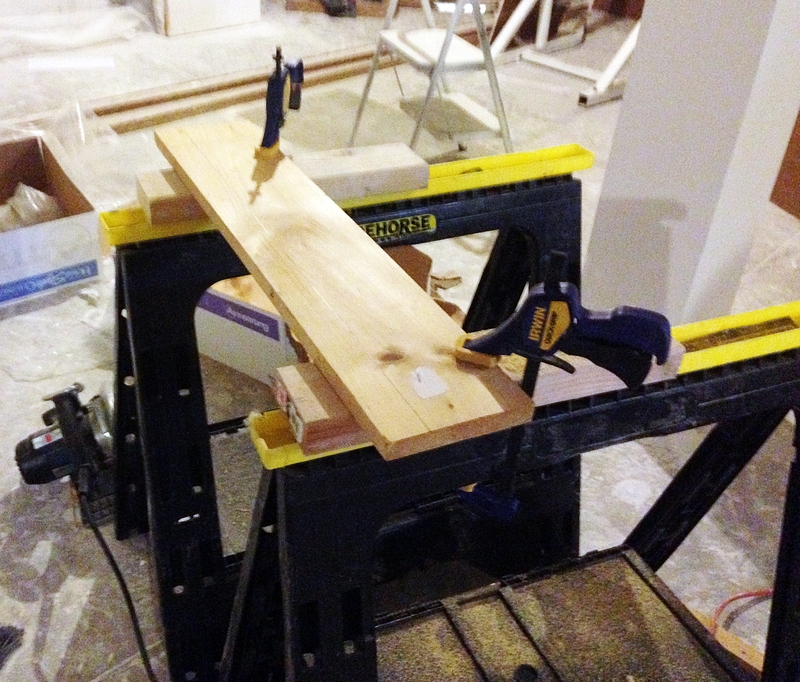 I clamped the board down to some sawhorses and ran the circular saw down the length of the board. I’m deathly afraid of the table saw, but if you’re not, I’m sure it’s a quicker option. 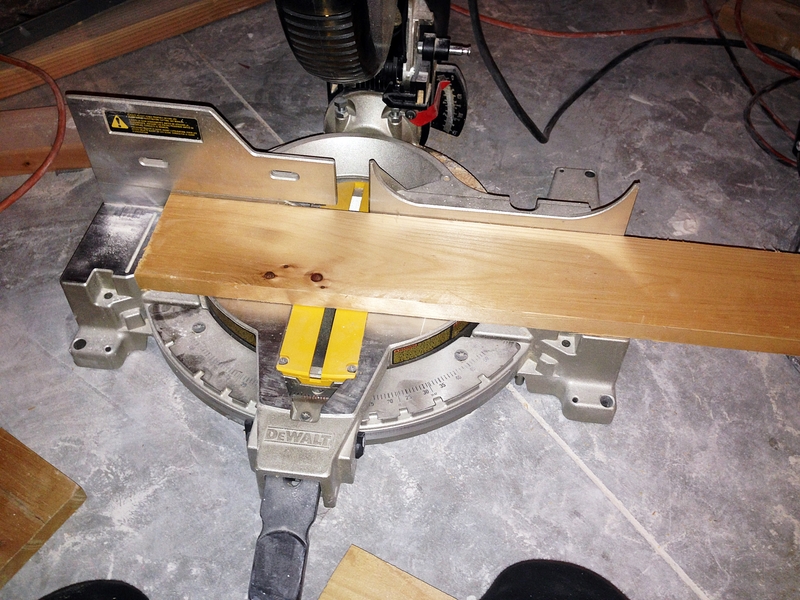 I then used the miter saw to cut the boards down to the length I needed. I cut two 24″ long pieces , and two 6″ long pieces (x5 for my purposes) . At this stage, the boards were way to refined. I needed to roughen them up a bit. I didn’t want perfectly square edges, so I used the rotary sander to round all the edges of the boards. I just rocked it back and forth over the edge down the length of the board, and rounded the corners. This already started to give it the aged look I was going for. 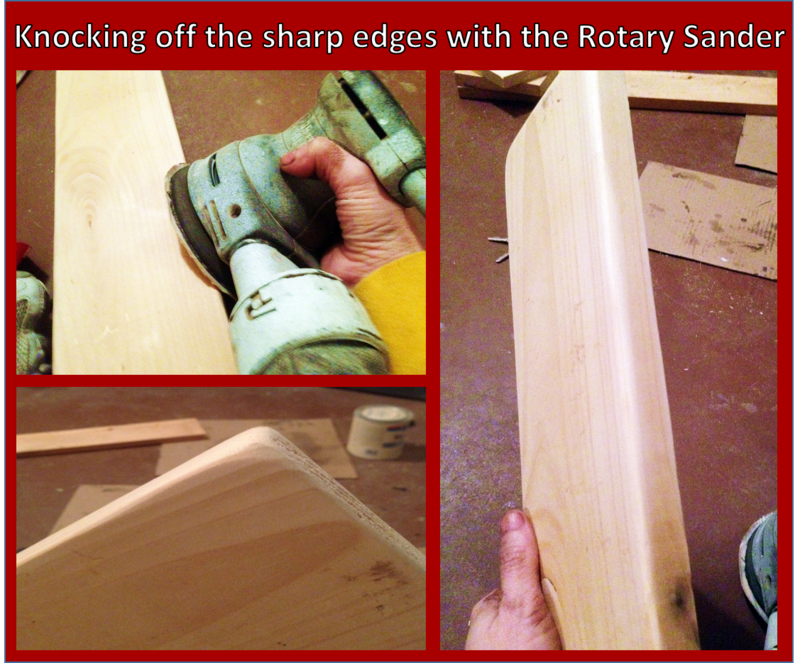 The picture below shows the before and after so you can see what the sanding adds to your board. If you can do this step outside, I would recommend it. It created a ton of dust. 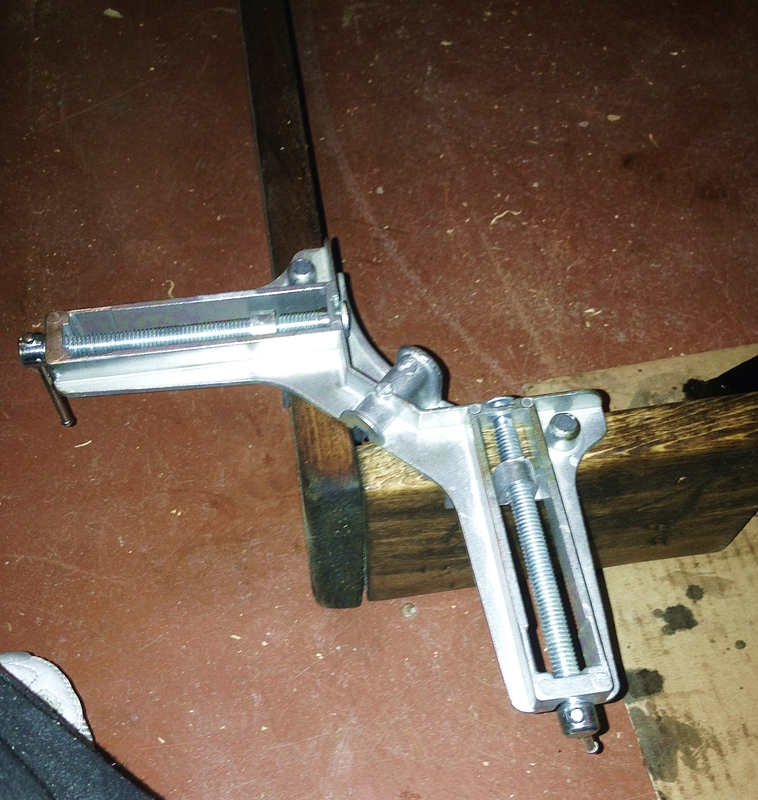 Next, I looked around the garage to find some tools to distress the boards. 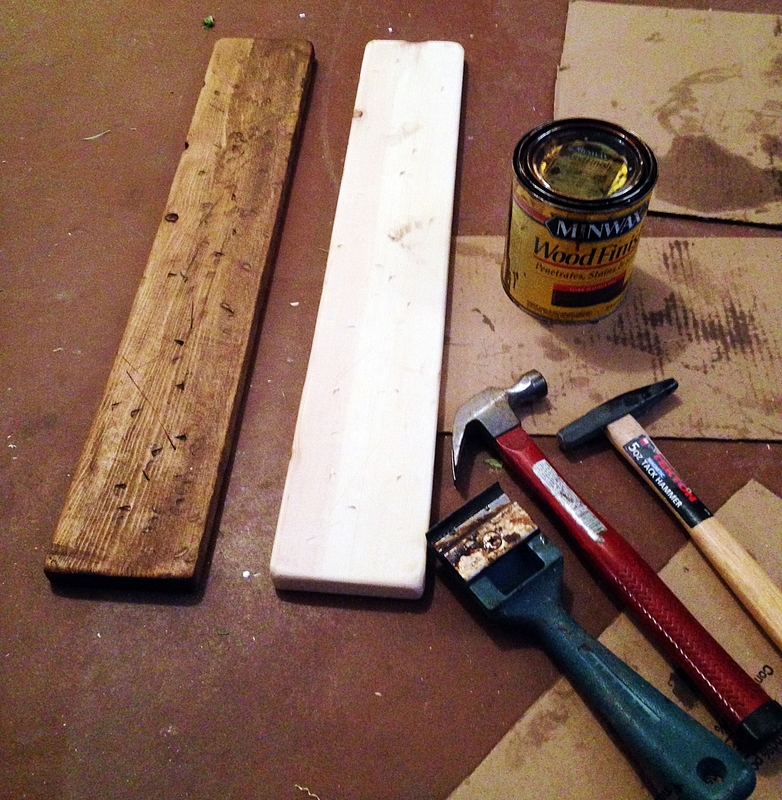 I grabbed a hammer, a smaller upholstery hammer, and a paint scraper. I used the blunt side of the hammer and just went to town beating the board:). 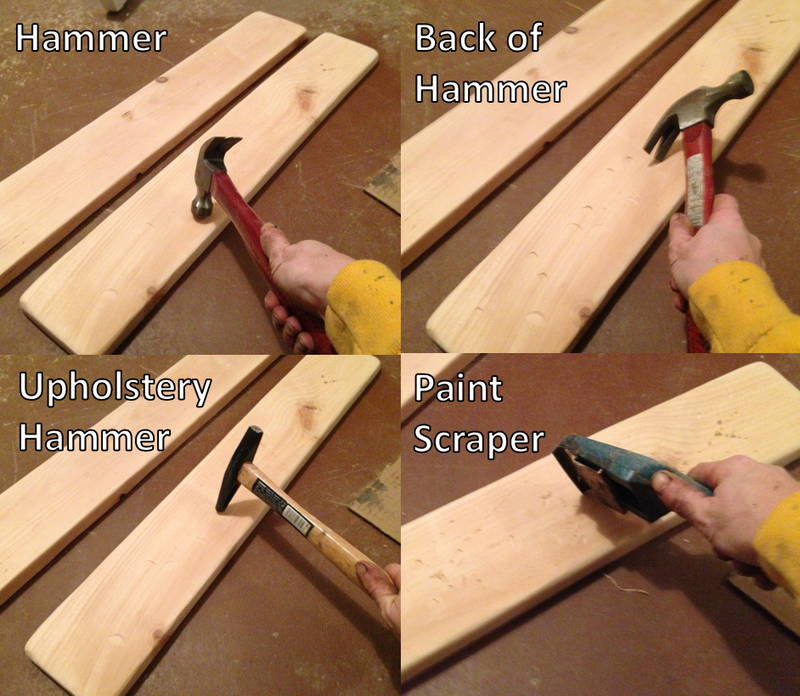 I then turned the hammer around and hit the board with the sharper part that is used to pry out nails. This put some divets in the board, which when stained I really liked the look. Next, I hit it with the upholstery hammer, which just left some smaller dings. Lastly, I took the paint scraper and put some scratches in the board. I ran the rotary sander over the boards when I was done to knock off any raised edges I created, and then I moved on to stain. Below is a picture of the before and after with distressing so you can see the character that this step adds. I used Minwax Dark Walnut stain to get a nice dark, deep finish. 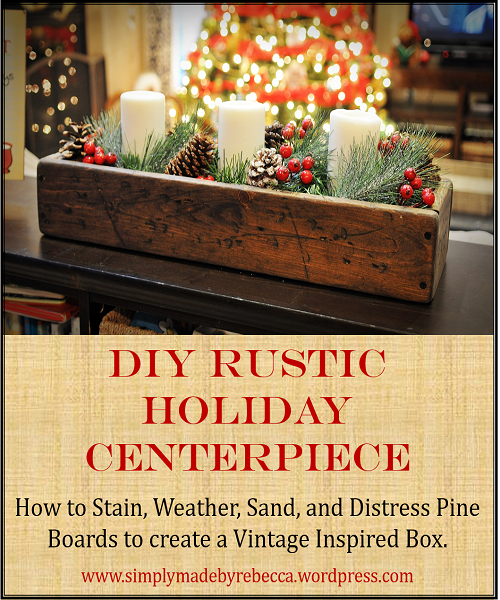 Make sure to force the stain down into the crevices that you created when distressing the boards. This helps to achieve the darker areas, which really adds dimension. To make by box, I put wood glue on the edges, and used a right angle clamp to hold it together while I inserted the screw. I started the hole with a drill bit first. This made it much easier when inserting my screw. I put two black screws at each edge, again I was going for rough and rustic so I didn’t measure, I just arbitrarily placed them. I was actually quite happy with the final product. I wanted it to look like it might have been found in an old workshop. It’s not exactly the quality of the old vintage crate, but it was practically free and did achieve the vintage, rustic look I was going for. In hindsight, putting a whitewash on it may have more closely achieved the look of the original crate I was mimicking, but I was happy with what I had:). Also, I did not add a bottom. I probably will go back and do that, I just didn’t at the time. Two years prior, I made table runners for the holiday luncheons out of burlap and fleece. I bought some fleece from Joann’s that looked to me like an old lumberjack’s shirt. To give it a little something more, I cut the ends up about 3 inches and tied them, like you do to make those fleece blankets which are really popular. It made it look like a scarf. I layered this on top of the burlap. 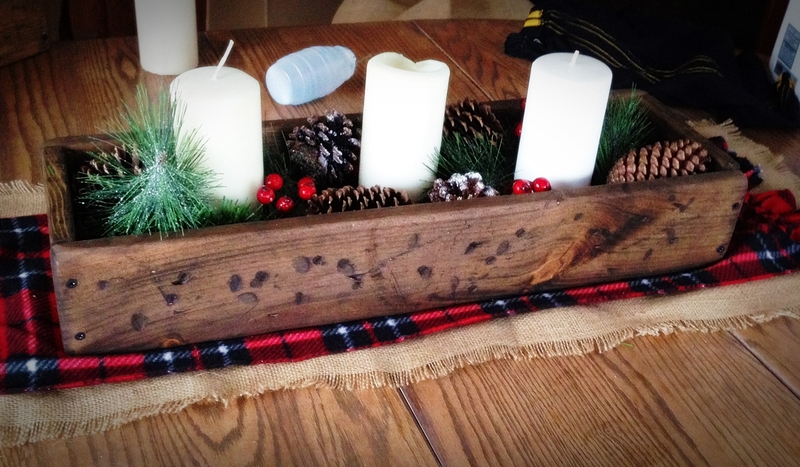 I thought these went well with the rustic look of the boxes, so I used these table runners again this year. (Free!!!) I also had some greenery on hand that I had bought at Joann’s last year. I bought a discounted piece of garland and cut off smaller pieces so they were easier to place. I had pine cones and faux cranberries from years past, so I placed those in the boxes, and my dad had picked up two boxes with about 25 candles at our church give-away so I added three candles to each (again free!!!). I did prop the candles up on small pieces of 2×4. If you buy taller candles you won’t need to do this. At this, I was done:) Everything for $5.00. I’ve spent much more in the past, so I was quite happy with the savings. Hopefully you may have similar things handy, but if you don’t, picking up some greenery, candles, pinecones, and cranberries can be done fairly inexpensively, especially if you’re only making one, not five:). So, now that we’re done with them for the holiday luncheons, one has found a home on a shelf in my living room, one is on my mom’s dining table, and the other three are in the garage until we find a use again for them in the future:).